There’s no doubt about it: mums deserve the world when it comes to saying ‘thank you’. With a range of luxurious spa days and breaks on offer at award-winning Ragdale Hall, you’ll find the perfect option to make your mum feel spoilt this Mother’s Day (Sunday 31st March 2019). Choose to spend some quality time together with Ragdale’s Clarins Mum and Me Time Day (9am to 6pm), where you’ll both enjoy a 40-minute Clarins Radiant Skin Facial and a skincare consultation, use of all Ragdale Hall’s facilities, including the newly opened Rooftop Infinity Pool, Thermal Spa, indoor and outdoor pools, gym, exercise and relaxation classes, and take home a Clarins gift worth over £22.00. And, because the Clarins Mum and Me Time Day is available until September, you’ll have no problem fitting it in. If a day isn’t enough, try the two-night Mother and Daughter Break where you’ll share a superior room and enjoy all that the UK’s Best Destination Spa* has to offer, including all meals and spa facilities. You’ll also choose 50-minutes of pampering each, with either a Pure Radiance Facial, Blissful Face and Back Therapy or a Relax and Rehydrate Body Treatment. For mums who might be in need of some serious ‘me-time’, then look no further than Ragdale’s Ultimate Day. 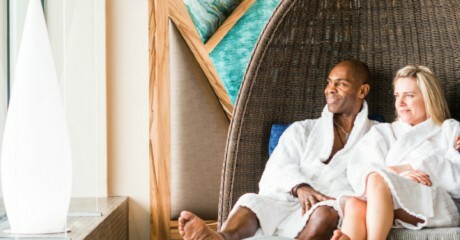 This spa day will see her both relaxed and rejuvenated, with more than two hours’ worth of luxury treatments – including a Miracle Facial, Restorative Hand and Foot Therapy and either a Dry Flotation Therapy or Lavender and Tea Tree Exfoliation – and unlimited use of all spa, fitness and relaxation facilities, a sumptuous three-course lunch in the Dining Room before finishing off the day with a glass of bubbles and canapes. Ragdale Hall’s Clarins Mum and Me Time Day is available from March – September 2019 and is priced from £282 for two people. The Mother and Daughter Break is available from £378 per person for a two-night stay, and Ragdale’s Ultimate Day from £231 per person. Gift vouchers for these and all Ragdale Hall’s spa days and spa breaks, or monetary amounts, are available to buy up until Sunday 31st March – all come beautifully gift packaged and are valid for a whole year. For more information or voucher details visit www.ragdalehall.co.uk or call 01664 434831.